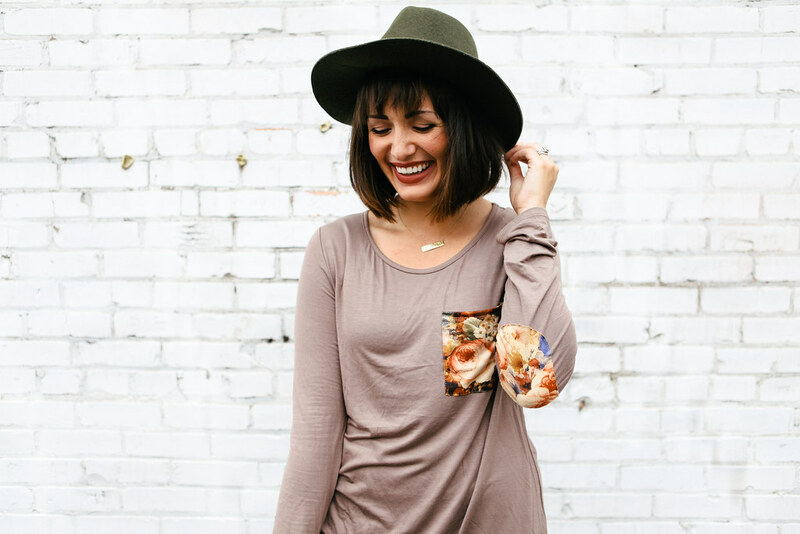 How cute is this top from Pink Blush? 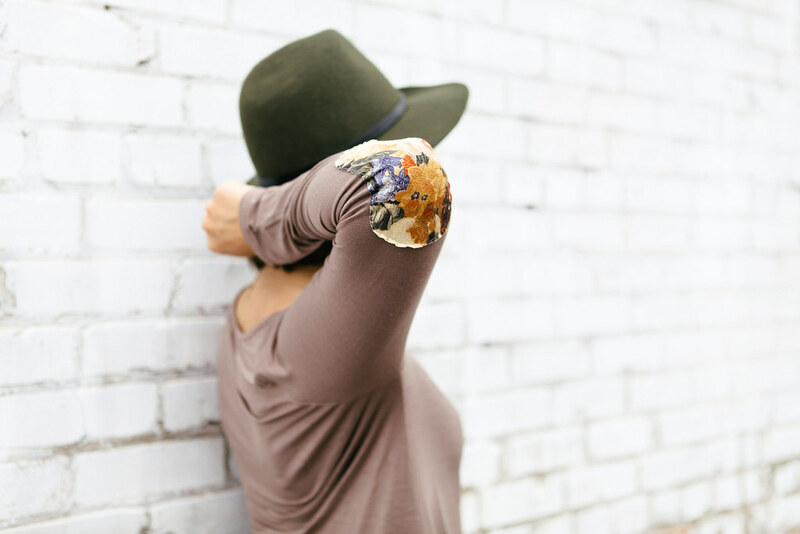 What's better than your everyday long-sleeved top.. an elbow patch long-sleeve top. 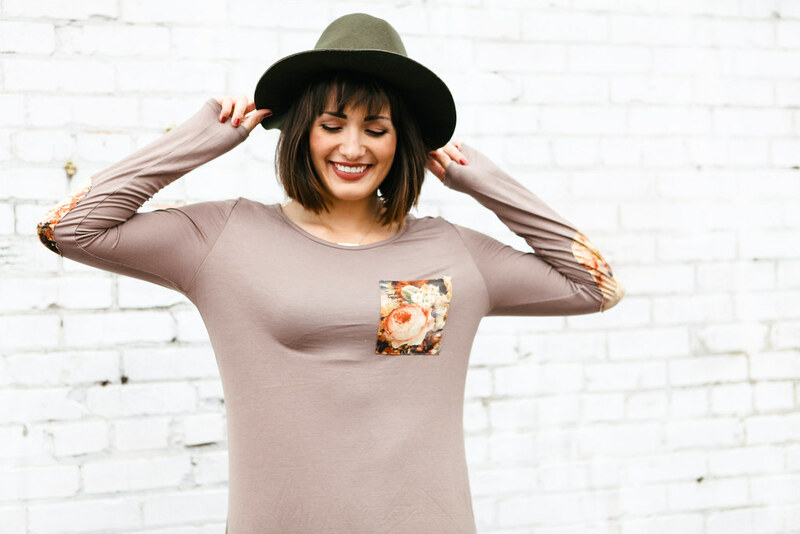 I love the pocket, hints of floral, and tunic length, perfect for leggings and fall layering. 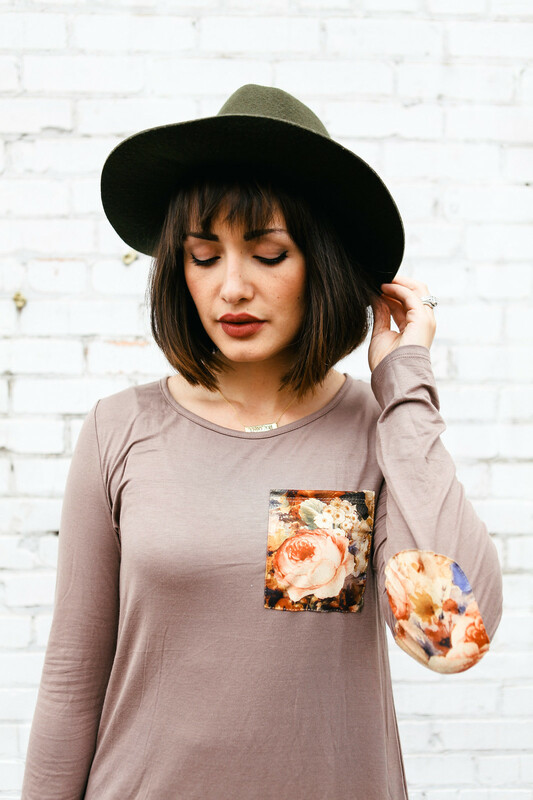 I'm a big Pink Blush-fanatic and love their women's line. 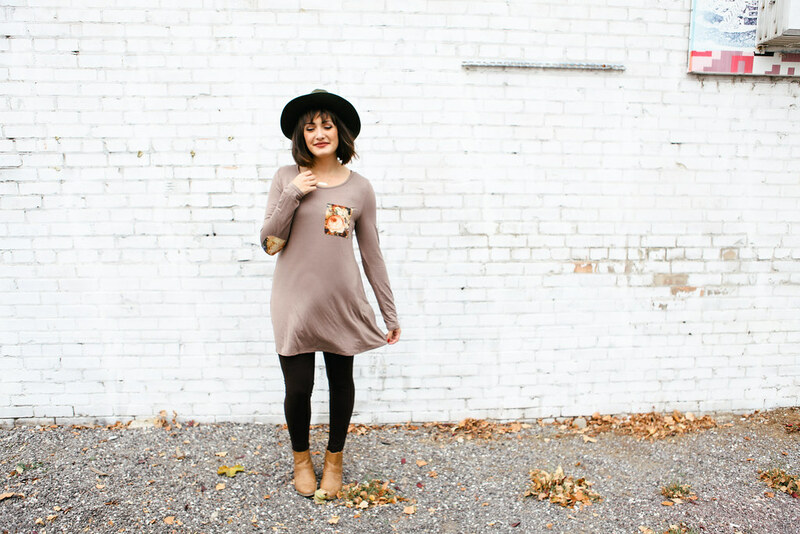 Pink Blush is giving away a $50 gift card to their shop! To enter, simply visit Pink Blush and start browsing for your favorite items, shouldn't be hard at all since they only carry the best (; Remember to fill out the rafflecopter widget below, the more entries you complete the better chance you have of winning. Giveaway is open to ALL DEAREST LOU READERS thru October 29 at 11:59PM EST. If your twitter, facebook, or instagram profile is on P R I V A T E please set your settings to P U B L I C on November 3, 2015 from 12AM EST- 3AM EST since I will be verifying the random winners entries at that time, private profiles will not be eligible of winning. Winners will be announced on my birthday, November 3 and contacted via email shortly after. 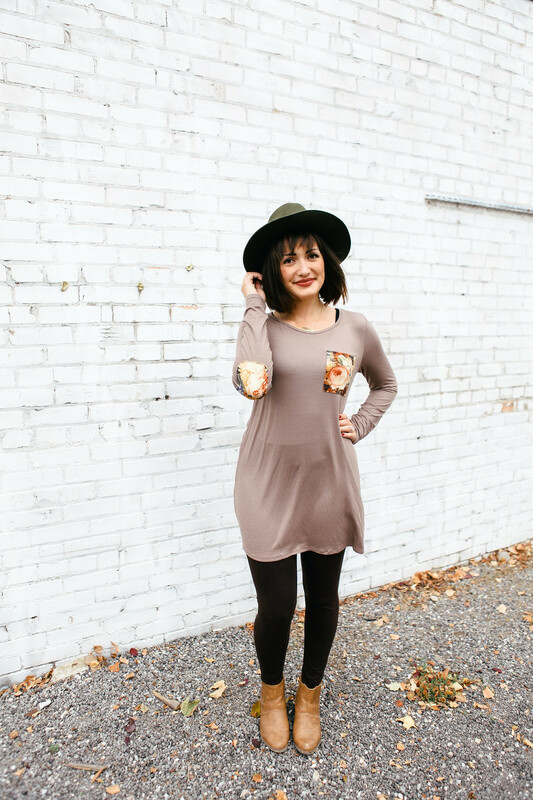 I have my eye on a couple different pairs of booties. i'm loving the maroon ones! I really love this coat - http://www.shoppinkblush.com/p-11665-navy-blue-fur-accent-coat.aspx! I entered. I would love to win this!!! You look adorable, as usual, darling! 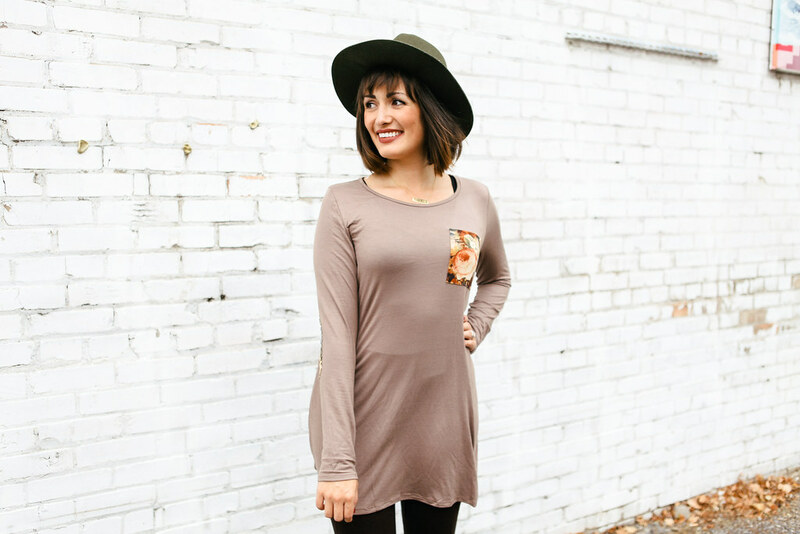 there are so many tops, dresses and shoes that I love! ty for the chance! I want to get that blouse you are wearing! I would love to get some active wear from Pink Blush like the http://www.shoppinkblush.com/p-15666-navy-blue-short-yoga-pant.aspx and the http://www.shoppinkblush.com/p-15440-grey-basic-short-sleeve-tee.aspx. I have no idea what I would choose though! This top would definitely be on my shopping list! They have such cute stuff!! WOW, luv www.shoppinkblush.com/p-17029-yellow-large-crescent-necklace.aspx. Divine. Wow, prize $50 gc is fab. & splendid. 2 fingers snap. It is tight, fly & off the chain. Thank you for the awesomeness, the contest, and generosity. :) Prize perfect for my aunt big BD gift. I'd love to get the http://www.shoppinkblush.com/p-16431-black-plaid-oversized-knit-cardigan.aspx and this http://www.shoppinkblush.com/p-15737-navy-dotted-stripe-button-up-blouse.aspx ! !